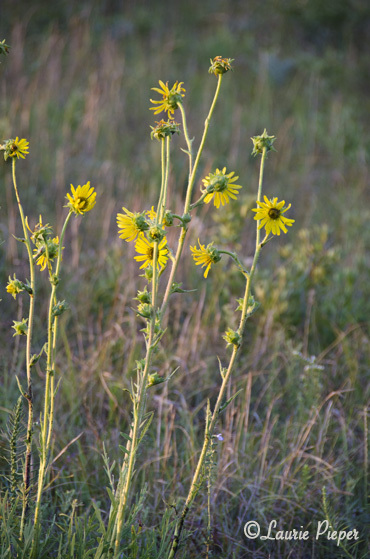 This is one of the wildflowers that I saw out on the prairie yesterday. 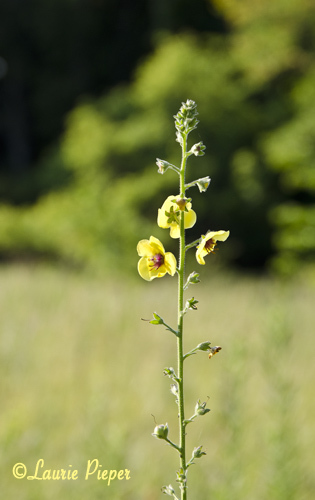 I tried unsuccessfully to identify it, but I think that it is quite lovely. 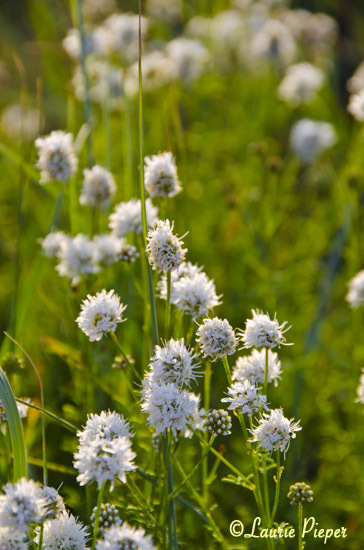 The flowers look like tiny white orchids. 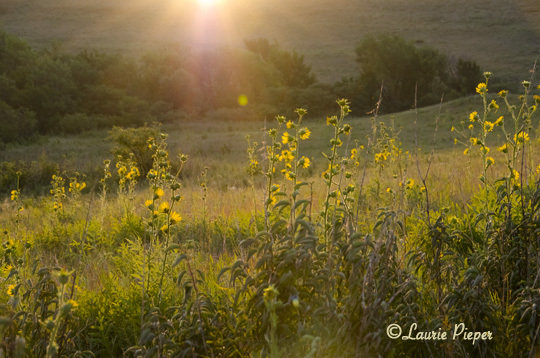 I went out to the Konza this morning to take photos of wildflowers. I’ll be sharing a few over the next couple of days. This was one of my favorites. Recently several people have kindly nominated A Taste of Morning for awards. 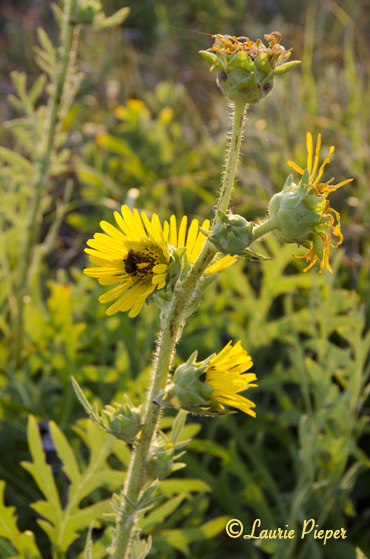 In thanks, here are some pictures that I have recently taken of wildflowers out on the Konza Prairie. I thought this would be a fun way to acknowledge those readers who have shown such warm support! Thank you to Diana Staresinic-Deane for the Reader Appreciation Award, to Share Chair for the Beautiful Blogger Award, to Letizia from Reading Interrupted for the Very Inspiring Blogger Award nominations. * You should check out these blogs. Diana writes about Kansas, Share Chair about technology (especially iPad and iPhone), and Letizia about reading, writing, and related topics. 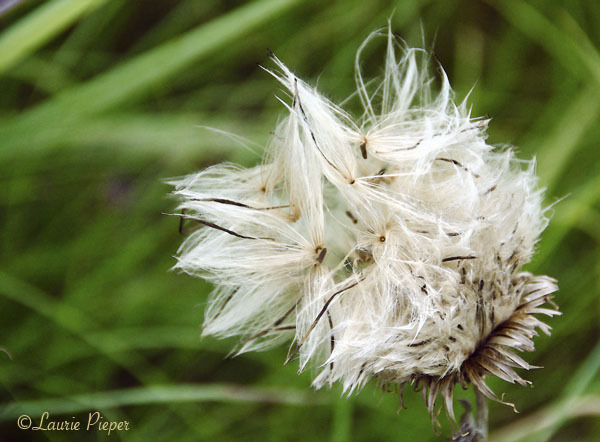 Here are a few blogs that I really enjoy following and that I would like to nominate for an award. I think that all of them deserve a Reader Appreciation Award; and some are inspiring, some are beautiful; some are both! (I’ll let them decide which should they choose to accept.) The people behind these all bring enthusiasm, effort, and a special perspective to their work. I am a “mostly vegetarian”. The first cookbook that I ever bought was James Beard’s Theory & Practice of Good Cooking (1977). I still own it. I have really enjoyed watching the Olympics over the past two weeks. The last book that I read was Sea Change by Karen White. I just started reading The French Gardener by Sara Montefiore. I had a great great grandfather who was French. One of my goals for the next year is to travel to some beautiful place that I have never been before. 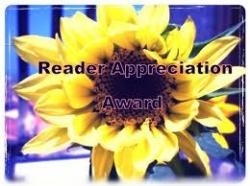 Reader Appreciation Award: Post link to the person who nominated you; include a picture of the award on your blog; nominate some other bloggers for the award; tell 7 things about yourself. 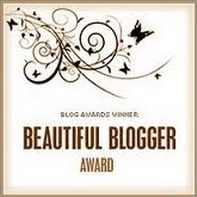 Beautiful Blogger Award: Post link to the person who nominated you; include a picture of the award on your blog; nominate 15 other bloggers for the award; tell 7 things about yourself. 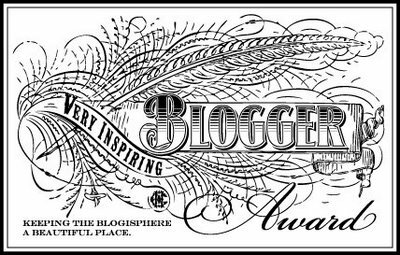 Very Inspiring Blogger Award: Post link to the person who nominated you; include a picture of the award on your blog; nominate 7 other bloggers for the award; tell 7 things about yourself. Having accepted blogger awards several times now – each time quite happily and feeling flattered – I feel that it would be selfish of me to continue to do so. Hence, I humbly request that if you enjoy A Taste of Morning, that you simply send me a note letting me know. I hope that this does not sound presumptuous or offend anyone. 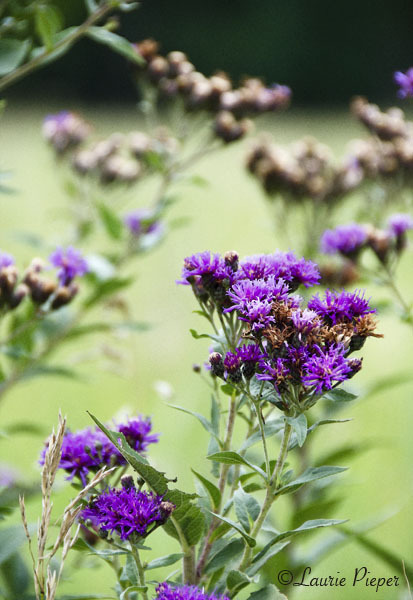 Thank you kindly to all of you who have shown your support! 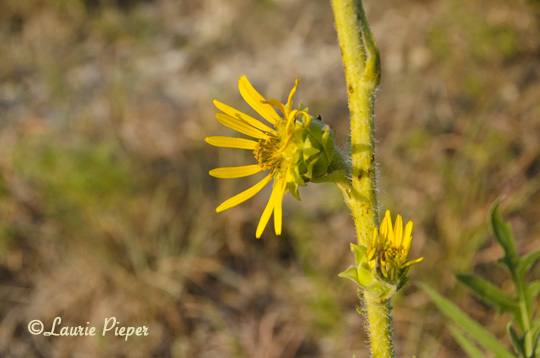 Compass Plant (Silphilium Laciniatum) is a wild flower native to the prairies of the midwestern US. 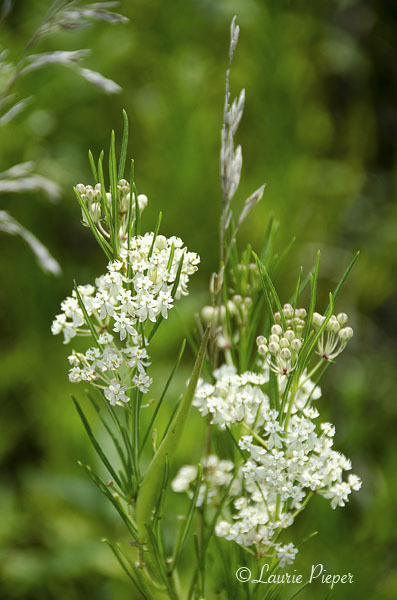 It also grows in parts of northeast to central US and southeastern Canada. 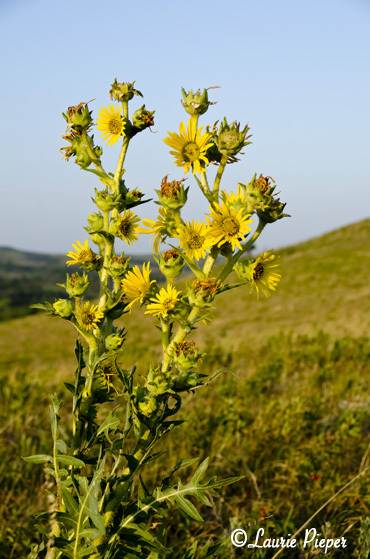 It derives its name from the fact that its leaves align themselves north-south to avoid over-exposure to the parching sun. 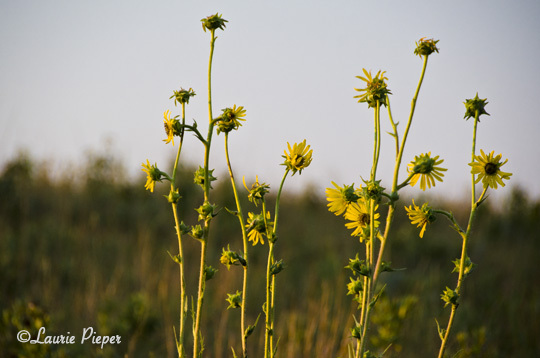 Despite the abnormally hot, dry conditions that we have been experiencing in Kansas* – the driest in over 50 years, when I photographed them a few days ago these Compass Plants gave all appearances of thriving on the Konza Prairie. 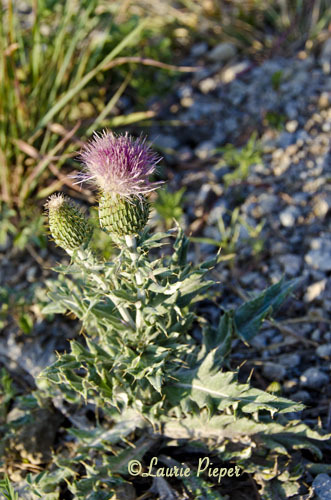 I find them to be a fascinating combination of beauty and ruggedness. *Our official high yesterday was 107 degrees F., though the thermometer in our yard registered a high of 113.2 degrees F. at 4:20 pm. 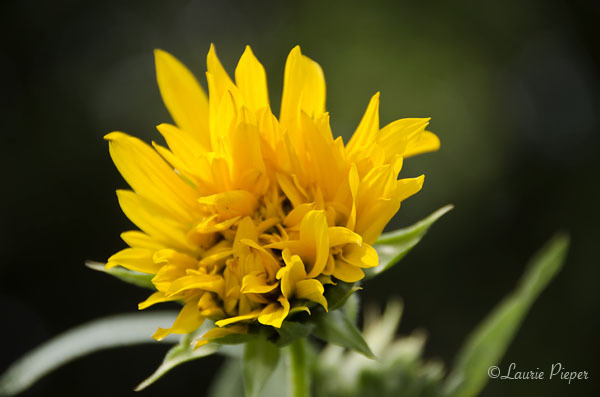 A thunderstorm last night brought only 0.07 inches of rain.